The Crumb Cafe, formerly Paces, the college’s only student-run business, continues to adjust to significant changes this academic year after relocating to Sharples. They have increased their revenue significantly and created a new dry, social space for weekends, but the sudden increase in demand at the Crumb has overloaded workers and raised wait times to over 45 minutes at peak. This, along with changes to the schedule and offerings at Essie Mae’s, has put the dining scene at the college in flux. For the Crumb Cafe management team, this semester has presented both the successes and the difficulties that come with an ambitious and risky expansion. Two years ago, Paces was open four nights per week and made around $90 in nightly revenue; last spring was the first semester for which the cafe turned a profit. Now, the Crumb makes an average of $930 each night and is open seven nights a week — leading to an increase of about $6,150 in weekly revenue. More than 80 percent of that revenue comes from meal swipes. 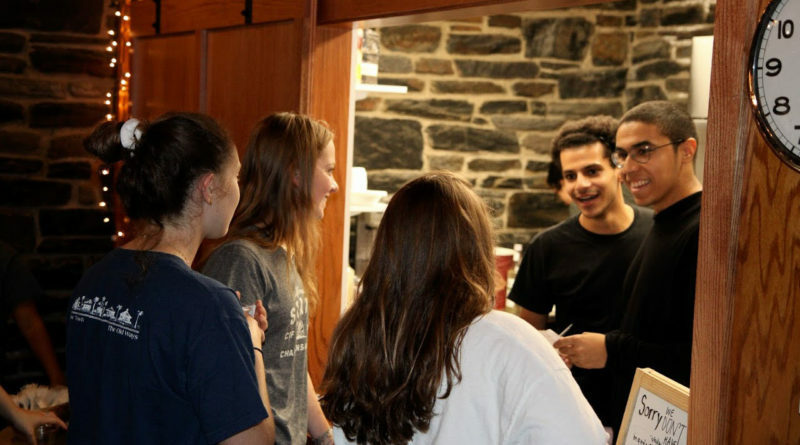 According to Head Director of Crumb Cafe Ahmad Shaban ’19, the profits will go towards employing more students, buying new and nicer equipment, and experimenting with higher-quality ingredients. Last April, after months of deliberation and meetings with their advising group made up of administrators of Dining Services, Auxiliary Services, and the Office of Student Engagement, the leadership team decided to move the late-night cafe from Paces to Sharples, according to Shaban. In addition, they would now be open seven nights a week, serving as the only late-night cafe and social space on the weekends. But two weeks before the start of the semester, the administrative advising group to directors of the Crumb Cafe asked them to accept meal swipes. In the spring, the team had planned to accept both Swat Points and Dining Dollars (on-campus points) rather than just Swat Points, then transition to accepting meal swipes after they became accustomed to the new space. However, when it came to hiring, they ran into a myriad of difficulties. Worker slots increased from 40 open shifts at Paces in 2017-2018 to 80 open slots at the Crumb, and these slots were not completely filled until Oct. 9. Because the Crumb had a history of hiring a higher ratio of work-aid students to non-work-aid students that other student employment organizations, Shaban felt that dealing with JobX was an unnecessary hurdle with the other adjustments the team had to make. Kitchen Directors Adam Schauer ’19 and Henry Han ’20 logged over 40 hours per week in the beginning of the semester in order to train workers in time for the opening, according to Shaban. Regardless, the move to Sharples greatly improved the experience for workers at the Crumb compared to Paces, Shaban said. Sharples has its own cleaning team, so the student cleaning crew no longer had to convene at Paces on Sunday nights to remove the residual smell of beer and sweat of from Paces, which doubles as a party space. Ingredients are also easier to access; when Shaban was kitchen director, he had to push a cartful of ingredients up the hill, from Sharples to Clothier. 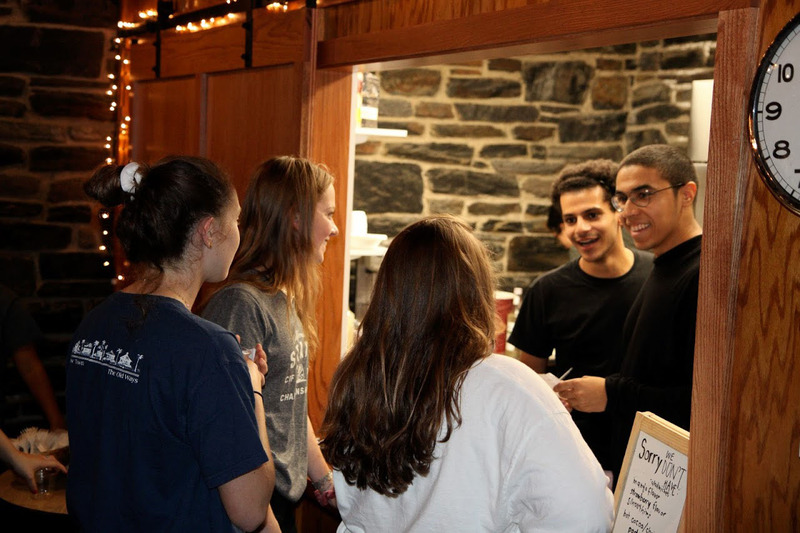 At the same time as the college asked the Crumb Cafe team to take meal swipes, Dining Services staff members learned of the changes to Essie’s late-night program. According to an anonymous Essie Mae’s and Science Center Coffee Bar worker, who will be referred to in this article as Jordan, staff members had concerns about the new menu. Previously at Essie’s, students could use a late-night swipe for any items in the store totalling seven dollars, including custom-made sandwiches, hot drinks, snacks, etc., whereas this semester, students can only buy certain items with meal swipes. According to Coschignano, these changes were intended to speed up movement through Essie’s and to restrict the use of swipes to full meals. “The meal equivalency included in college meal plans was intended to give students access to a meal after Sharples’ dinner hours, rather than the chance to purchase snacks or grocery items from Essie’s,” he said. Though the options for entrees now include leftover sushi and Chinese food from Science Center lunch and students can purchase more food with one swipe, only the grill is open for food after 8 p.m. This means that students can order chicken fingers and fries late at night, but not custom sandwiches. According to Jordan, the majority of premade sandwiches do not sell at Essie’s, so they are sold at Science Center the following day. Dining services staff members’ overall hours have remained constant since last semester, but staff have significantly less work, Jordan said. They feel that this is not necessarily an improvement for staff members, because making sandwiches does not take time for experienced workers and making food for students is often rewarding. The Crumb Cafe’s busiest night is Sunday, likely due to the fact that Essie’s food services are closed on weekends this semester. While the employees at Essie’s have more free time thanks to the dining changes, the student workers at the Crumb are struggling to keep up with booming demand. Kim was not previously accustomed to making drinks at a breakneck speed. She worked at Paces last semester as a barista; the more relaxed environment allowed her to spend time making custom drinks for students. “It’s just been a little weird … I still like working here, but it’s just a completely different atmosphere. [Last year] I’d show up to Paces and we’d just hang out. It was a cute place to be … But hey, I signed up for it,” Kim said. Perhaps anticipating the more demanding nature of the job, fewer previous Paces employees than expected returned to work at the Crumb. Sam Sheppard ’21 was one such student who chose not to go back to the Crumb. “I was gonna be a manager this year, then I saw how stressful it was gonna get. I was like, with everything with Essie’s, [the Crumb is] gonna get a lot of customers. I don’t want to have to deal with that,” he said. Shaban, however, is optimistic that the wait times will improve as the semester goes. After this adjustment period, he says, the team plans to incorporate a greater variety of vegan and vegetarian options as well as planning student group “takeovers” of the cafe. Despite the setbacks that the Crumb Cafe has experienced, Shaban is encouraged by the community that has sprung up around the food and the new space.